Want to make a positive impact in the lives of our local youth athletes? Love the game of football? 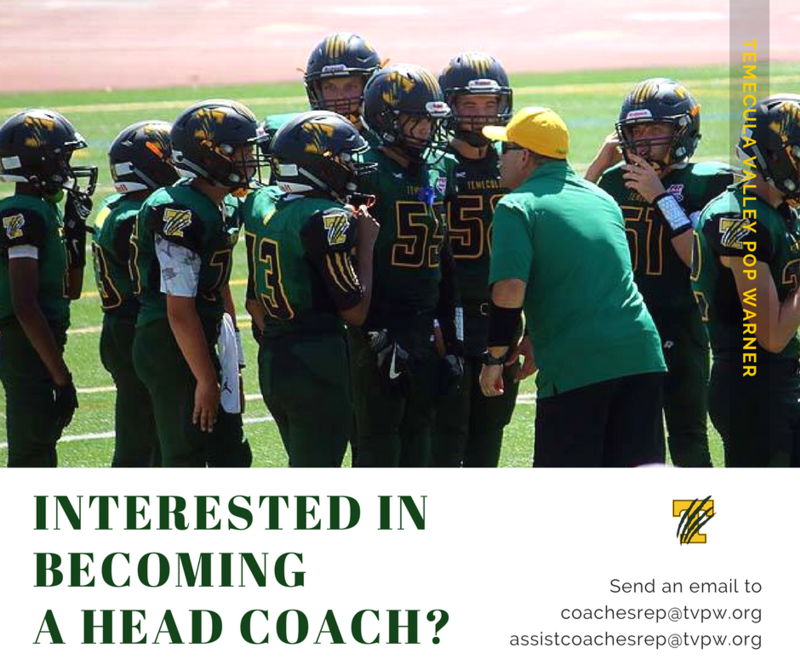 TVPW has the perfect opportunity for you - become a Head Coach! Interviews will be held on the evenings of March 13 & 14. Email Jeff Logan - coachesrep@tvpw.org or Cirrus Sawyer - assistcoachesrep@tvpw.org to learn more!